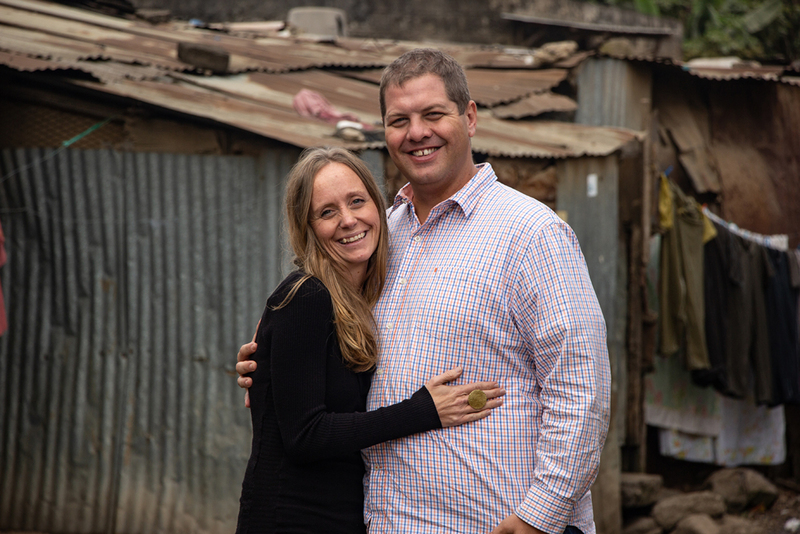 If you’ve visited Missions of Hope International in Nairobi, Kenya, you’ve probably met Tim and Alicia Stewart! The Stewarts have served as part of the CMF team there for 6 ½ years, and they’re eager to return after their furlough. They stopped by the Indianapolis home office recently to share some updates on their ministry. How did you first learn about MOHI and get interested in serving there? We had been praying about possible long-term mission service for a long time. Then our church, Westside Christian in Springfield, Illinois, began a partnership with MOHI in 2007. We wanted to join in with what our church was doing, so we went to Nairobi as 30-year-old REACH interns in 2008. While there, we loved the ministry, but felt the timing wasn’t quite right. 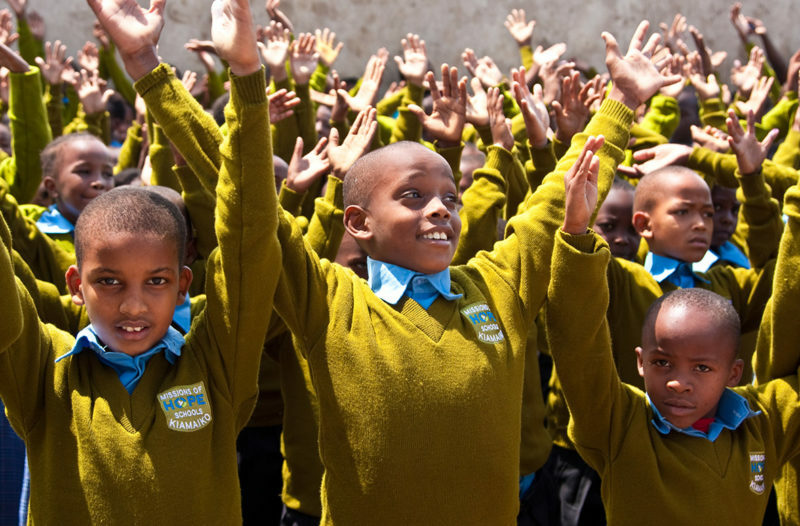 Finally, in 2010, we began the affiliation process with CMF and arrived in Nairobi in March 2012. MOHI is a huge organization with many ministries. What are your current responsibilities? Alicia: I work with our U.S. partners. I help coordinate the MOHI side of child sponsorship and the visits of short-term teams. Tim: I served as team leader for a couple years but stepped down from that in April. Now I’m primarily involved in MOHI sustainability projects, like the new tour company that organizes sightseeing trips for visiting teams, the MOHI shop, the farm, and the water bottling plant. I have a ministry degree, so I’m also involved in church planting through the Nairobi Chapel and Outreach Hope churches. What changes have you seen during your six plus years at MOHI? Huge growth! We now have about 17,000 kids in our schools. The children from our first class have graduated from high school and gone to college. We’ve also expanded to some rural schools, including one in a Muslim community. We’ve also seen a lot of staff growth and organizational structure changes. It’s been fun to watch MOHI grow and adapt to meet the needs of people so they still feel loved and cared for. Sharing Jesus has always been the core mission of MOHI, and it still is, even though we’ve grown. Sharing Jesus is always the first priority in everything we do. So we’re doing everything on a different scale, but still keeping the heart the same. What’s one thing you want people to know about MOHI? Alicia: That sponsorship actually DOES change lives! Every day we get to see lives being changed because of sponsorship. I walk into the classrooms and see kids loved and cared for by everyone. 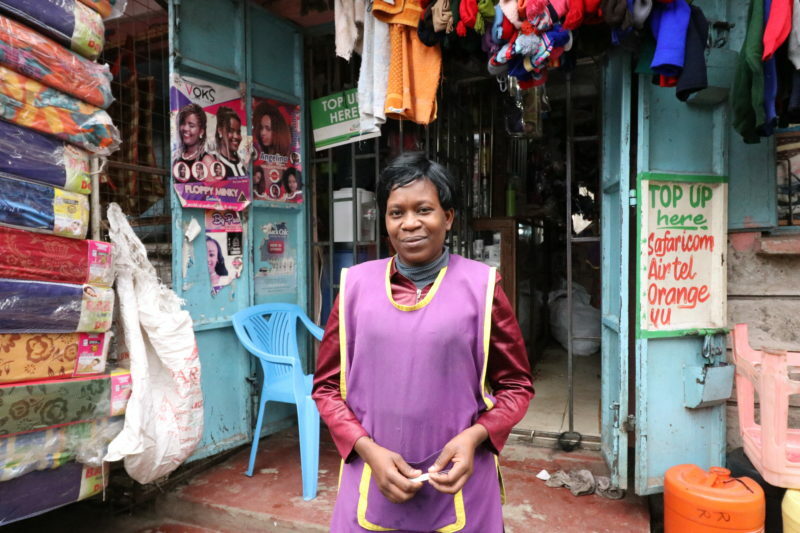 They go home to the slums, but for eight hours, they are valued. Without sponsorship, we don’t have an avenue to get into the homes and help the families. Tim: Jesus loved people well, and that’s MOHI’s goal. We meet them where they are and take the next steps in the journey. Our farm feeds the kids, and our microfinance program provides opportunities for their parents. We try to empower people with dignity and self-worth. To be a part of an organization that does that in the name of Jesus is really exciting!